I know that Father's Day is not for a few more weeks but I would like to share this awesome video with you. WestJet has partnered with Ronald McDonald House Charities Canada to celebrate dads everywhere, reuniting a Saskatchewan father with his sick son, Joel, at a Ronald McDonald House in Edmonton. 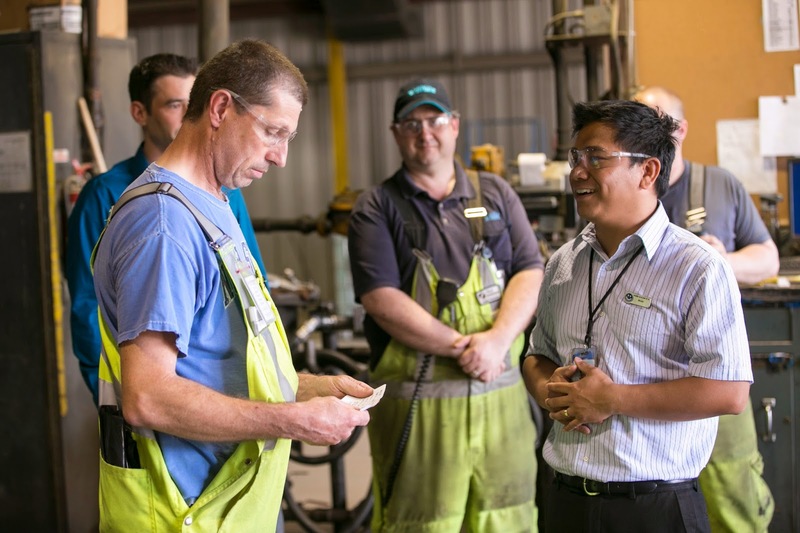 Marc Grimard is surprised with an early Father’s Day gift, as WestJet employee Teodoro (Medel) Villena covers his job for five days allowing Marc to spend much-needed quality time with his sons, Mathieu and Joel, and wife, Angela. Four-year old Joel Grimard from Prud'homme, Saskatchewan was diagnosed a few months after birth with tricuspid atresia, a congenital heart condition, and has spent much of his young life in the hospital. Joel’s father Marc works in Saskatoon to support the family, while his seven-year- old brother, Mathieu, attends a local Saskatoon school. Angela, the boys’ mother, stays with Joel at Ronald McDonald House Northern Alberta while he receives treatment at the Stollery Children’s Hospital. Often, the family is separated for weeks at a time. Families across Canada face the same tough choices every day, trying to balance the needs of a family with a sick child against the need to support the family financially. In honour of Father’s Day, Ronald McDonald House Charities Canada, together with WestJet, found a way to bring the Grimard family together without disrupting the family’s means of financial support. Let Us Make This Happen!!!! This Father’s Day, in addition to WestJet’s everyday support of Ronald McDonald Houses across Canada, WestJet has pledged to bring together even more Ronald McDonald House families with every 100,000 views the video receives, up to 500,000 views.